Hailsham Theatres are pleased to announce the launch of their new website. We aim to use the website to keep you updated with all things Hailsham Theatres, so remember to add us to your favourites. Alongside the website, we have set up Twitter and a Facebook page. You can also keep up to date with Hailsham Theatres’ news and events on the go by visiting our mobile site on your smart phone. 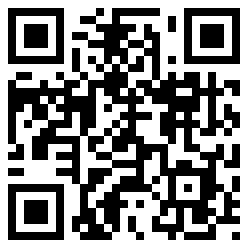 Just scan the QR (Quick Response) code with a QR app on your smartphone, or navigate to m.hailshamtheatres.co.uk. Need to access the full site on the go, don’t worry, you can still access the full site by clicking the link on the mobile site. Remember, once you have visited our site, please add it to your bookmarks, or even better, your home screen.